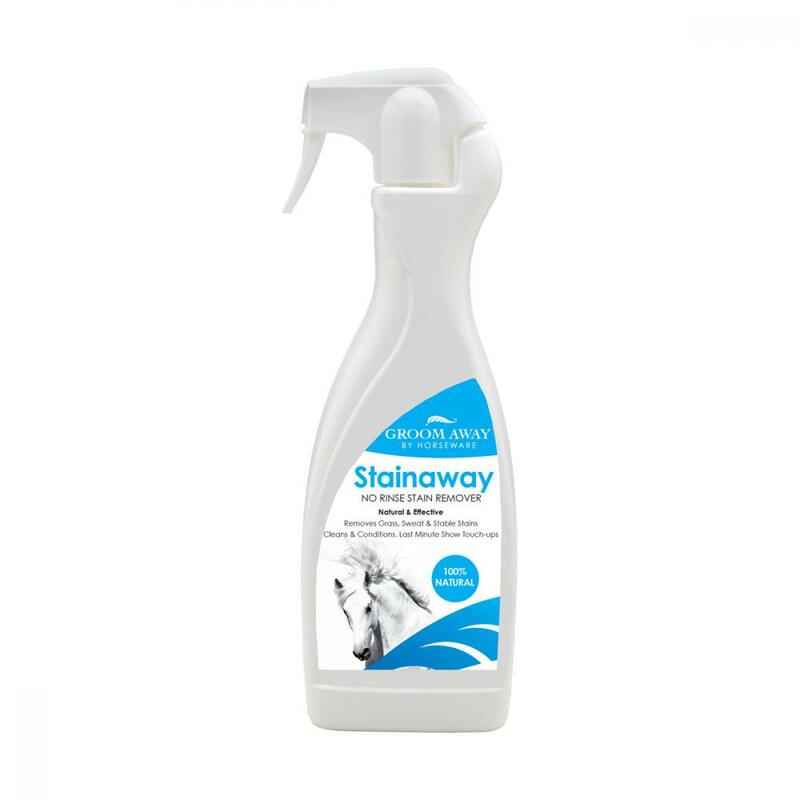 Totally NATURAL ingredients providing quick, easy and effective non rinse stain removal. 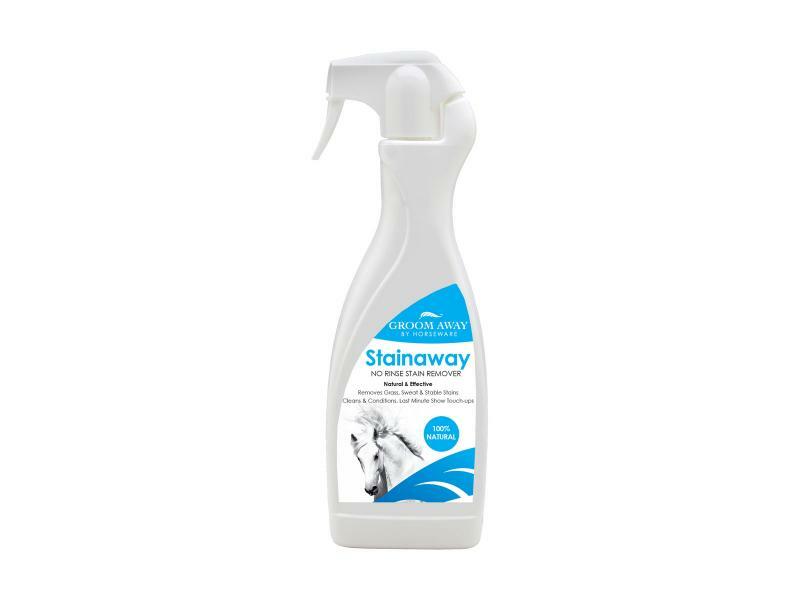 A highly effective non-chemical formula that easily frees dirt and stains from the coat without irritating the skin. Leaves coat clean, soft and shiny. Makes light work of travel stains on a show day. Quickly removes sweat and stable stains. Great for Winter cleaning. There are currently no questions for Groom Away Stainaway - be the first to ask one!